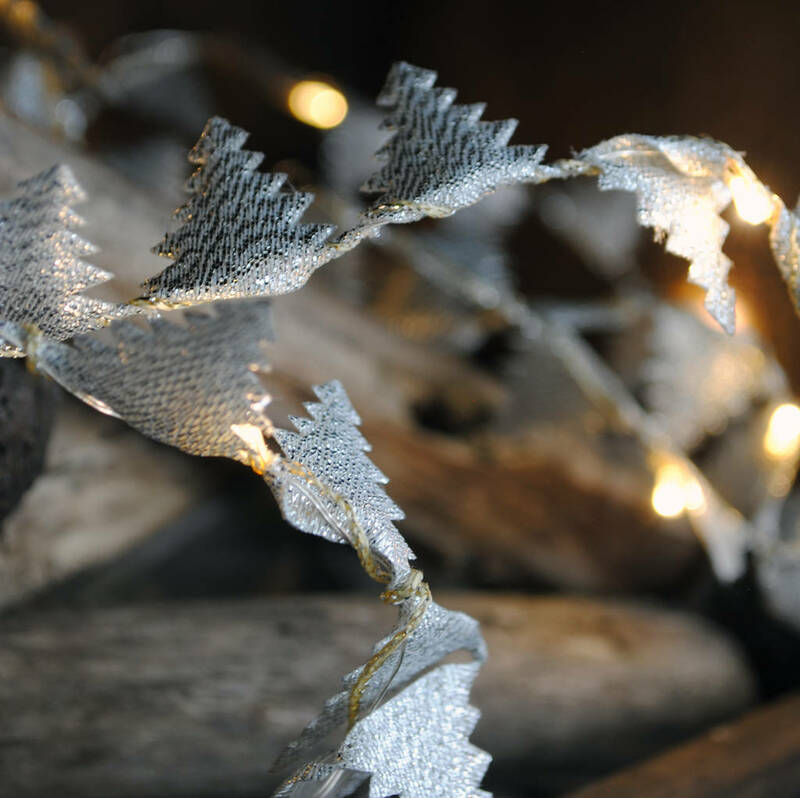 A stuning handmade set of fairy lights spun with Christmas tree ribbon to make a quirky christmas decoration. These hand spun novelty fairy lights are a truly unique way to decorate. 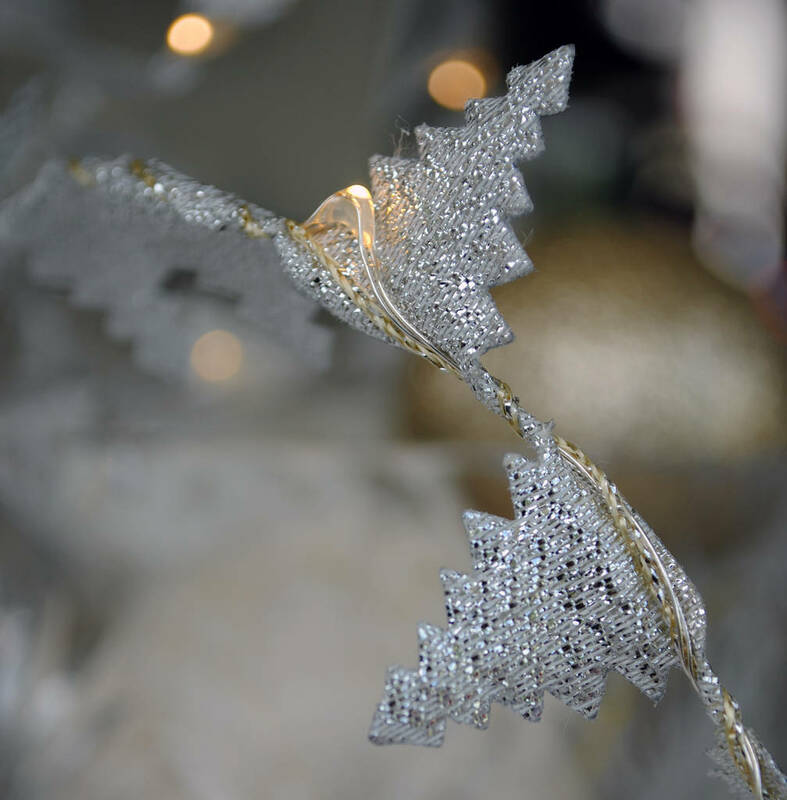 Ideal for christmas tables, over a mantle or up a stair banister. Every string consists of 20 warm white micro LED lights, christmas tree trim and metallc red threads. 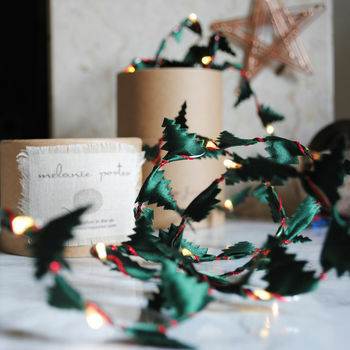 Every string of lights come packaged in a stunning gift box so would be a wonderful gift for a party host. Battery powered so you are not limited to being near a power source, so perfect for a table centrepiece, over a mantle or around a picture frame. Our standard colours are green with metallic red thread. If you are looking for any other colours, please check out our other fairy light styles. Choose from a single string or a set of 3 or 10, each set packaged in a single 100% recycled kraft box. 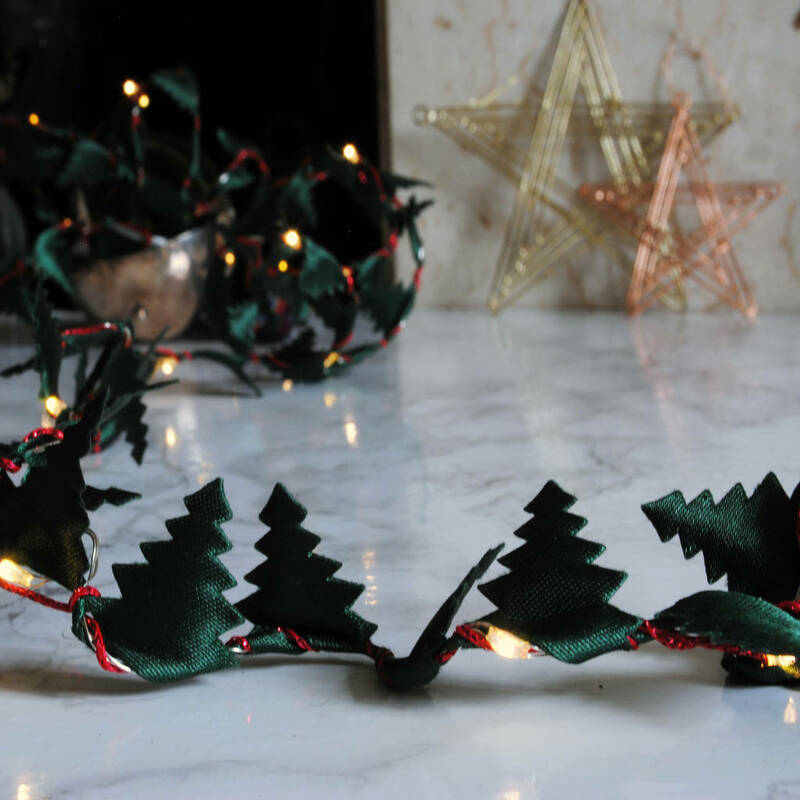 LED lights with battery pack, green christmas tree ribbon and metallic threads. Every sting of lights is individually spun on a tradiitional spinning wheel to give it our unique wrapped effect.